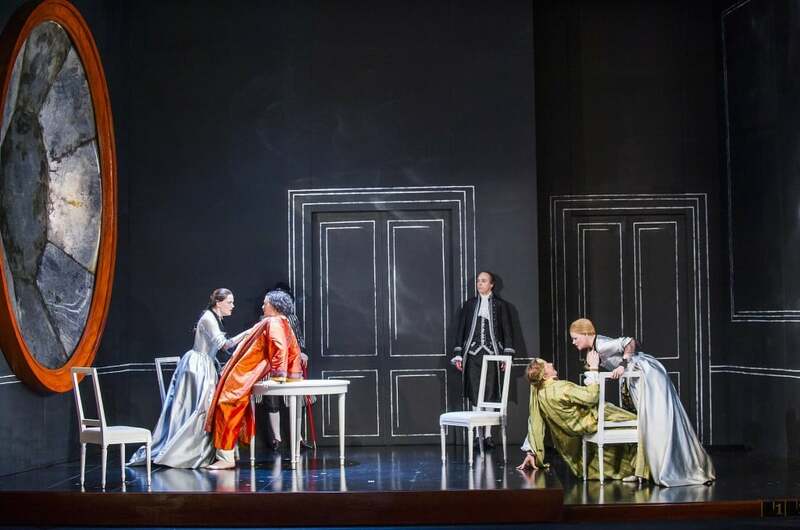 A scene from Cosi Fan Tutte by Mozart @ Grand Theatre, Leeds. An Opera North production. 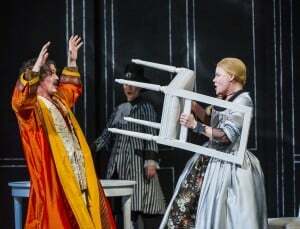 I was a guest of critic Rich Jevons at Opera North’s Cosi Fan Tutte and I thought I would offer not so much a review as a perspective. As a Staff Director for Opera North in the 80’s I worked with Director Tim Albery on various occasions. 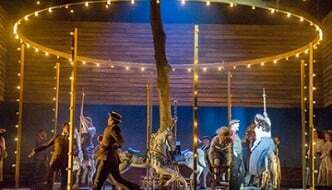 I also re-staged Peter Gill’s original production of Mozart’s The Marriage of Figaro for the company, so feel like the musical and theatrical language that is harnessed by Mozart is in my blood. However, my perspective is also laced with a strong dash of Commedia dell’Arte. In the 90’s I had the privilege of working with the international Commedia director/actor Adriano Iurissavich in Venice where we took some students to train. He also came to Leeds and we took some original Commedia on a tour around universities. The theatrical rhythms and scenarios of this perfect Italian tradition also became part of my artistic palette. Tim Albery is a fantastic director of Opera – he has been working in the field for over 30 years. 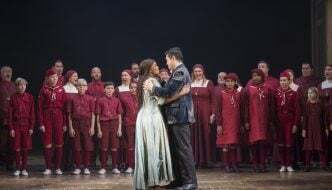 He has always come from an understanding of the internal processes of the actor, and therefore goes beyond the preoccupation of opera to merely ornament the music. We arrive at all sorts of staging solutions where the ‘thought impulses’ of the actor work in sublime tension with the music. 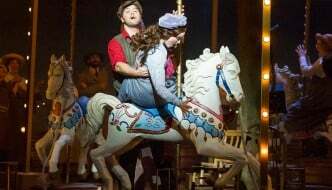 It provides a dynamic and energy filled staging that is perfect for this human journey of romance and folly. 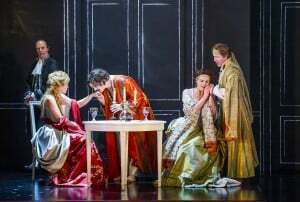 One of the ‘flavours’ that so makes Commedia distinctive, is plot symmetry. Though it relies on physical buffoonery and improvisation, there is nevertheless an intrinsic stability in its ability to create the perfect scenario – introducing the characters, putting them in impossible situations of conflict, intrigue, conquest and subversion (by the servants); allows for comic situations that yet has space for pathos and human heartache, and always a theatrical love of resolution, reconciliation that gives a sense of completion. Mozart is at the height of his creative genius. He has already given us the great Opera Buffa masterpieces. Da Ponte, the librettist, is a product of the theatrical traditions I have described above. Here we have the perfect harnessing of that which, musically speaking, is the rich legacy of the 18th Century – rich invention within the context of a love of form, symmetry, and, in Mozart’s hands, the forging of elegance with deep human expression that can touch the soul. My perspective, therefore, is that I sat in the Grand Theatre with a sense of sheer joy – here was artistic expression so rich in heritage, old and new. Last chance to see the production in Leeds is on 26th February before it tours to Newcastle, Nottingham and Salford Quays. See Opera North website for schedule.